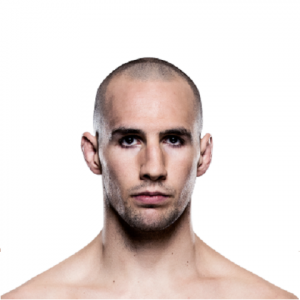 Rory McDonald is a professional Canadian Mixed Martial Arts Fighter who is currently competing at the American renowned MMA promotion, Bellator MMA in its Welterweight category. He is current Bellator Welterweight Champion and made his MMA professional career in 2005 and has an MMA record of 20 wins and 4 losses in his MMA career so far as of 2018. Rory McDonald was born on July 22, 1989, in Quesnel, British Columbia, Canada. He is of Canadian nationality having a white ethnic background. He came from the difficult childhood days and raised by his mother, Valerie Mullock and his stepfather whose name has not officially specified. His father encourages him to join the gym and he started to train in the gym at the tender age of 14. He made his professional MMA debut in 2005 and made his debut against Terry Thiara and went to win the match. Rory went to compete for MMA promotion such as King of the Cage and Ultimate Fighting Championships. He later signed with American MMA promotion, Bellator MMA in August 2016 and made his Bellator debut against Paul Daley at the main event of Bellator 179 on May 19, 2017. Mc Donald won the match via choke hold in the second of the match. He later won the Bellator welterweight championship from Douglas Lima at the event Bellator 192 on January 20, 2018. He won the match through a unanimous decision and later got injured. McDonald is expected to take on Gegard Mousasi for the Bellator Welterweight championship at September 29, 2018. The American Welterweight star MMA athlete, Rory McDonald stands at a height of 6 feet tall and weighs around 77 kg. He has a reach of 76 inches which he uses to his maximum effect during his match. Moving towards his private and personal affair, he is in a relationship. As of 2018, he is currently engaged to his longtime girlfriend, Ashlin Rainbow, with whom he was in a relationship for 14 years. The couple is also blessed with a daughter. He is estimated to earn a good deal of amount of money through his professional career as a successful MMA athlete. However, it was reported, he is one of the highest paid MMA athletes in the world he is paid $50,000 per match which he featured. Moreover, his career disclosed earning is around $1 million. Hence, while looking at and examining his professional career combined with his assets as well as endorsing products such as Reebok, Monster Energy, and several other endorsements, his total sum is estimated to be around $1.5 million. With his accumulated wealth, he is enjoying a happy and lavish lifestyle with no signs of discomfort.